I will review Colorbar I define eyeliner pencil in Oriental blue. This is my first eye pencil liner from the Colorbar’s I define range. I have already used this pencil a couple of times so it’s high time to do a review. Packaging- Regular sharpen able pencil with a blue cap and Colorbar brand name embossed on it. 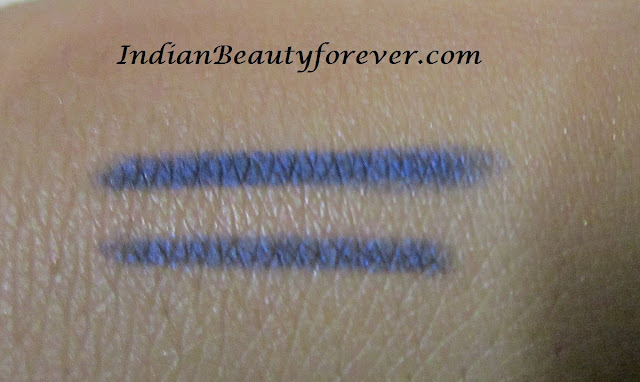 My Experience- This Colorbar eye liner pencil comes in a regular shapenable form. The lid is of medium softness that means it does not break much while sharpening. 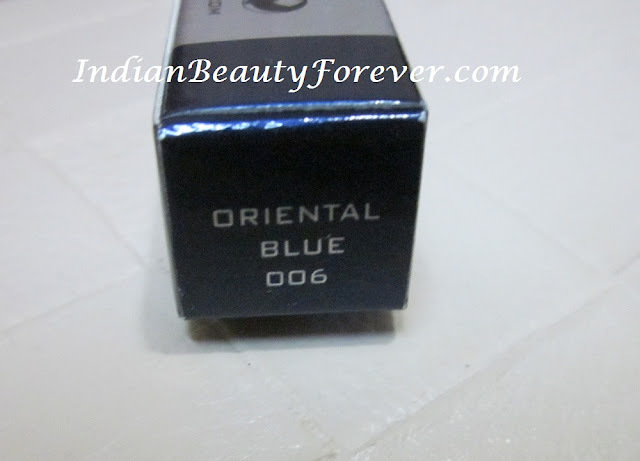 Texture is decent and the pigmentation as well. You will have to swipe twice to get the same intense color. This color is a Navy blue color and moderately creamy. Glides on the eyelids without much tugging or pulling. Once it sets it does smudges though not much and overall, staying power is average. As if you will touch it accidently, it will be wiped off. 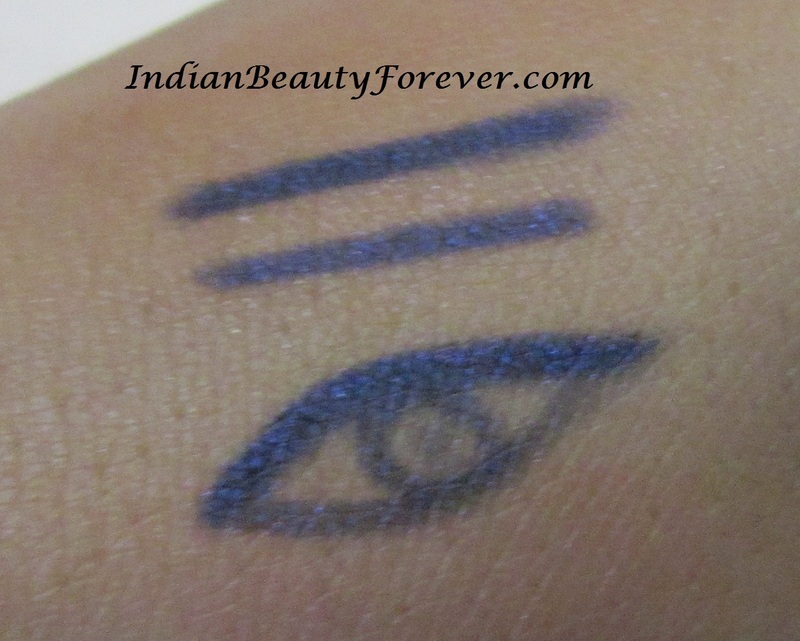 Not at all impressed by the Colorbar’s I – define eye pencils however, i still want to try their I glide range. Availability is not an issue, it is easily available online and in the counters. Texture is okay and application was not a problem. Color is nice and color pay off is okay, requires at least 2-3 swipes to get the desired pigmentation. It is a bit pricey since it does not match its claims. It gets wiped off very easily. My take- Try it if you love the color. I had bought this in Truffle but the color payoff was so poor I didn't like it even in the first try so got it exchanged for something else. Plus it was broken deep down inside as the lid jerked in and out while applying. 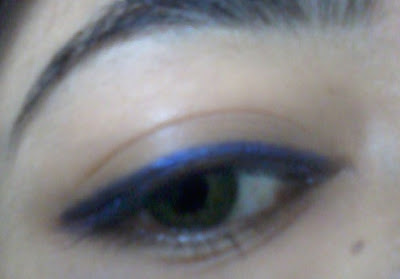 I see you love eye makeup, just like me :) Will now be getting your posts thru email. Faces pencils are far more cheaper and better. Thanks for signing up for email updates.